This buttery, brown sugar Southern candy is such a treat. Pecan Pralines are a classic that you have to try! Sweet and salty candy perfection. I’m not a southerner. So forgive me when I say I have never ever tried a Pecan Praline in my life. However, I have some readers on the blog who keep telling me to try making them. They are begging for a recipe. Which is funny, because you guys, there are hundreds (thousands) of recipes on the web for Pecan Pralines. However, I felt it my duty to give these a whirl. After all, my favorite ice cream flavor is Pecan Pralines and Cream Ice Cream. TO DIE FOR. And you can see by my candy recipes that I love trying new flavors and old classics! After giving these a try, I can only say they are delicious. Melt in your mouth good. The brown sugar caramelizes and firms up after you dissolve and boil the mixture. Once you fold in your pecans you have to work fast to drop these onto parchment paper. By the end, they were lumpy and weird looking, however they still taste amazing. I threw some of the lumpy ones in the picture, because you guys, I want to be real with ya. I want you to know that it’s okay they don’t LOOK perfect. After all, look at some of those in the bowl! Here’s the thing. When it comes down to it at the end of the day, do they taste good? Yes. Yes they do. And I’m hoping that if you ARE a southern girl you can give these a try and let me know if I’ve come close to the classic treat. Is the flavor right? Is the texture right? Let me know! In a heavy dutch oven over medium heat, combine brown sugar, heavy cream, corn syrup and butter. Over medium heat, stirring constantly, bring to a boil. Bring your mixture to a boil and use a candy thermometer to watch the temperature. I love using a Thermapen for this! Super easy and handy (and great for meat too). Once your sugar mixture reaches soft ball stage or 235 degrees F, remove from heat and allow it to cool to 150 degrees F. Mine took about 25 minutes. When it is the right temperature, add your pecans to the candy mixture with a wooden spoon until combined. Using two tablespoons, quickly drop mixture by spoonful onto parchment paper lined baking sheet. Allow pralines to cool and firm up (about 10-15 minutes). ENJOY!! Classic candy from Ohio. Peanut Butter Buckeyes. Soft peanut butter filling dipped in chocolate! Be sure to make a batch for you next party! 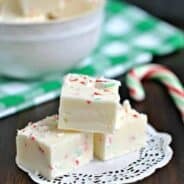 Divinity Candy recipe is a Southern classic. Just one bite and you’ll be hooked on this chewy, soft vanilla treat packed with crunchy pecans! 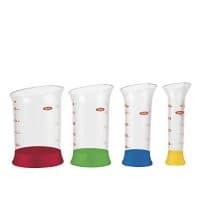 Line counter top or baking sheet with a sheet of parchment paper or wax paper. 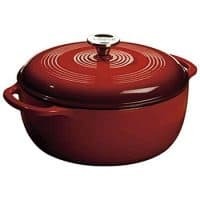 In a heavy dutch oven over medium heat, combine brown sugar, heavy cream, corn syrup and butter. Over medium heat, stirring constantly, bring to a boil. Boil for about 6 minutes or until candy thermometer reaches 235 degrees (soft ball stage). I’m not a southerner, but that doesn’t mean I can’t appreciate a good praline. I’m so psyched to give these a whirl. And I love that your readers asked for them. I need more specific requests like that on my site! Just joking thank you for this recipes! These look really good!!! 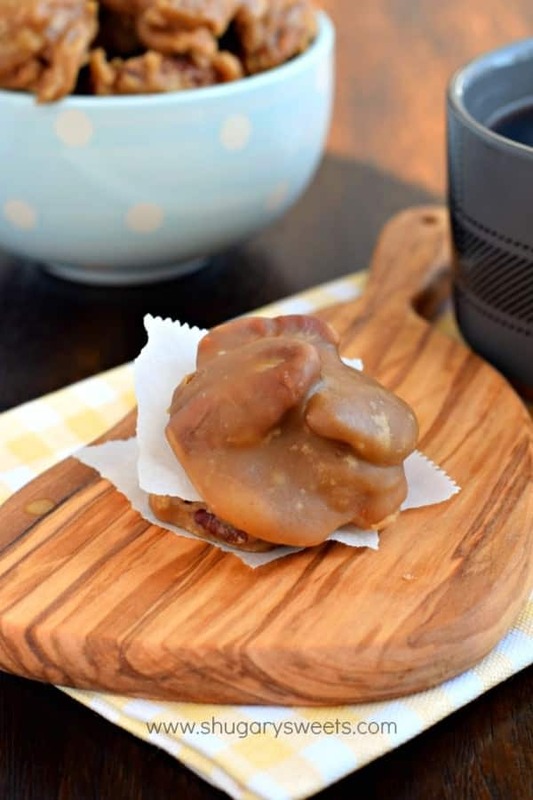 I haven’t made homemade pralines- so now I think I must give these a try! I just got back from a vacation in SC where these are very popular. I bought some at a local sweet shop and OMG, were they delicious! I am anxious to try your recipe; if they taste as yummy as they look from the pictures on your site, I’m in for a treat! Many years ago I had Chocolate – Peanut Butter Pralines from a shop in Myrtle Beach, SC. They were awesome ….. but I haven’t been able to find a recipe. Please keep that combination in mind if you ever decide to make another version and share the recipe with all of us. Your pralines look decadent !!!!!!!!!!!!!!!!!! Ooooh interesting. We’re they dipped in chocolate, or the actual praline tasted like chocolate peanut butter? I’ve never tried a pecan praline either, so I definitely need to start! Your description of these is making my mouth water. It sounds like the brown sugar really gives these a decadent touch. Sounds so delicious and easy, too! The Chocolate Peanut Butter Pralines were a milk chocolate color and the most decadent chocolate peanut butter combination I’ve ever tasted. 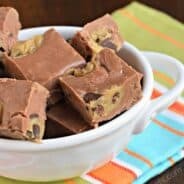 They reminded me of the Chocolate Peanut Butter fudge my Grandmother used to make from scratch ….. Cocoa, Sugar, Butter, Milk and Peanut Butter. The flavors were totally combined. I can imagine drizzling Peanut Butter Pralines with chocolate but they wouldn’t be the same. Melt-in-your mouth yummy! And so easy to make. I will add more pecans next time. I will also spread the mixture faster because it firms very quickly. 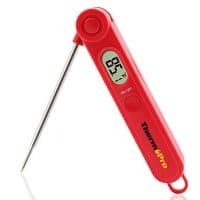 I tried to find the Thermapen candy therometer, but the link only showed BBQ and meat ones. Can you share more information about a good candy thermometer (does it clip to the pan too)? thanks for all you share and I’m looking forward to trying this delicious sounding recipe!!! The thermapen (which looks like a meat thermometer) can also be used as a candy thermometer. I find it incredibly accurate! I went to New Orleans last year for the first time and tried pralines. They were so good! I never thought to make them at home! Yummy! Pecans are one of my favorites to cook with. thanks for the delicious recipe! Love to try new foods. Pralines and cream growing up is delicious. Thanks for sharing great recipe, yummy! I love this recipe! 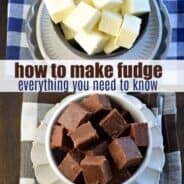 I have been searching for one that compares to Savannah’s Candy Kitchen in Charleston, SC and I have to say this is almost exactly like their recipe! It is super easy to make! Thanks and I am looking forward to making some for friends and family this Christmas Season! Awesome Recipe, it looks really delicious. I love cooking for my family every week I try to cook a new recipe. So next weekend I will try to cook your recipe. Tried this Pecan Pralines Recipe yesterday. My kids really liked this one. Thanks for sharing Pecan recipe with us. Now, I have one more dish to serve my kids as an evening snack. Well, my favorite ice cream flavor is Pecan Pralines too. the recipe looks interesting. I cant wait to try it on my own. Hope, i dont mess it up anyway. Thanks for the recipe. Awesome Recipe. Love to read the article. Thanks for sharing this Pecan recipe. yummy! looks delicious!!! will like to share it with my mum !! If your pralines thicken up before you get them all spooned out, just set your pan back over a very low heat and they will soften right up again! Delicious looking recipe. Thanks for sharing. How creative!. It is so delicious. Thank for sharing. I love chocolate . I’m going to try it now!! I love this recipe! I have been searching for one that compares to Savannah’s Candy Kitchen in Charleston. Melt-in-your mouth, looks too yummy. Will try this at home this weekend. Thanks for the recipe. I just loved this recipe!!!! You have represented it so well with the perfect images. Just Loved it. Thanks you so much for sharing it. I often eat cake in the morning because i have less time to prepare. thanks for sharing. great recipe. yum ~! I went to New Orleans last year for the first time and tried pralines. It was so awesome, this sounds like same. Thanks for providing the recipe, will try this at home. I’m a Northerner, but grew up with my Texas cousins sending us a box of “armadillo droppings” every Christmas… Which yes, were just pecan pralines. They were so delicious and now I’m determined to make them at home! Best treat ever ever ever!! Best holiday sweet treat! Absolutely love pecan pralines! 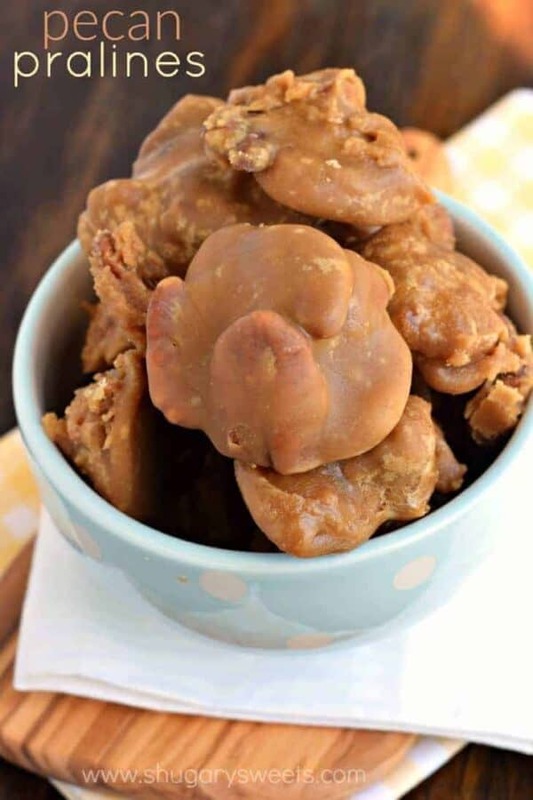 This is my favorite holiday party snack! I always make a double recipe for every family gathering and it’s always gone by the end of the night! Such a fantastic recipe!! These pecan pralines look amaaazing!! Yummy, great recipe! I am loving these pecan pralines. thanks for yummi recipies………nice article. 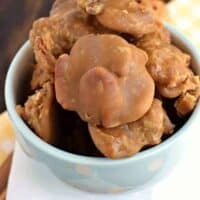 I just made this recipe and I don’t know what I did wrong, but when it got down to 150 degrees it was really runny and would not set up at all after adding the pecans. So I added about 1 and 1/2 cups of powdered sugar to get it to be the light color and also to set up. It is wonderful candy even with this mistake. I made the pralines today and they are very sticky like a Carmel. Any thoughts what I did wrong? This recipe is great. If I may recommend, add about a teaspoon of vanilla. It makes them even more decadent. Pecans are one of my favorites to cook.yummi recipes , thanks for sharing. This candy looks so yummy that I can’t wait to taste it for once.